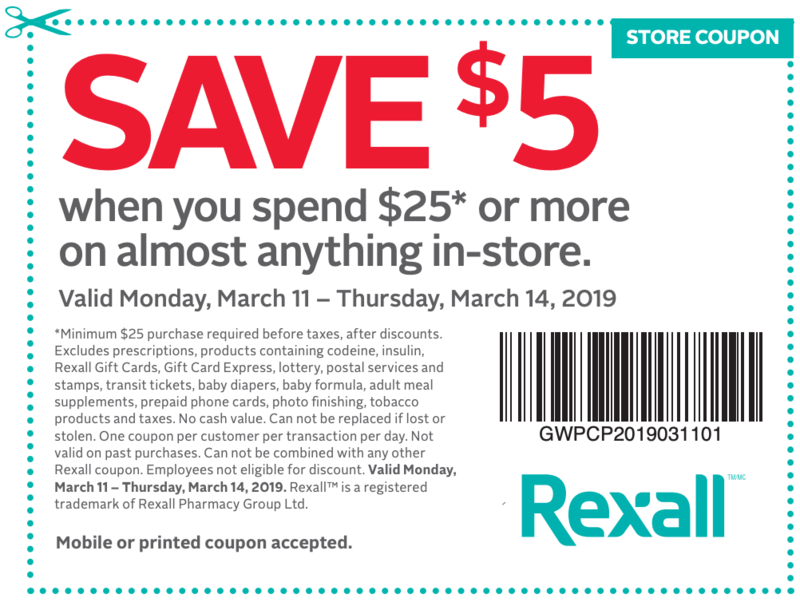 Rexall Pharma Plus Canada has a new coupon valid from today, March 11, 2019, until, March 14, 2019, where you can save $5 off your total purchase of $25 or more, on anything in-store. This coupon is valid at any participating Rexall and Rexall Pharma Plus locations. You can show your coupon on your smartphone or you print. Restrictions apply. Click here to get Rexall PharmaPlus Canada coupon.